For more information download the CE20 brochure. 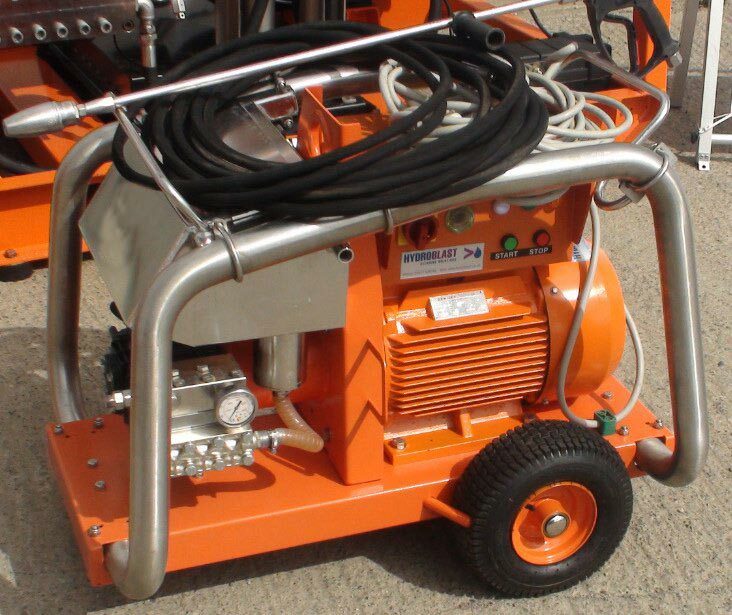 The CE20 is an electrical driven machine with a 3 phase, 20 horse power motor at 400- 440 V, 50 Hz. (Note 60 Hz versions are available) It also features a 500bar and 16 L/min flow capacity. This machine is fitted with pneumatic rear wheels, a parking brake and a castor front wheel. The frame is made up from pressed sheet metal parts which have been hot-dip galvanized and powder coated. It also includes enclosing side frames in stainless steel. This model comes with pneumatic tyres and measures 1060mm long x 760mm wide and 850mm high. 4 core oil resistant electrical cable. Trigger operated dry-shut gun c/w 0,85m long stainless steel lance.